The state of physical infrastructure in the lower courts remains an under-studied topic in India, despite such infrastructure being an important component of access to justice. In this bilingual report (English and Hindi), we examine the state of physical infrastructure of lower courts in Delhi and the National Capital Region (NCR). Using parameters developed by the National Court Management Systems (NCMS) Baseline Report on Court Development Planning System (Infrastructure and Budgeting), 2012, we have surveyed twelve (12) court complexes in Delhi and NCR. 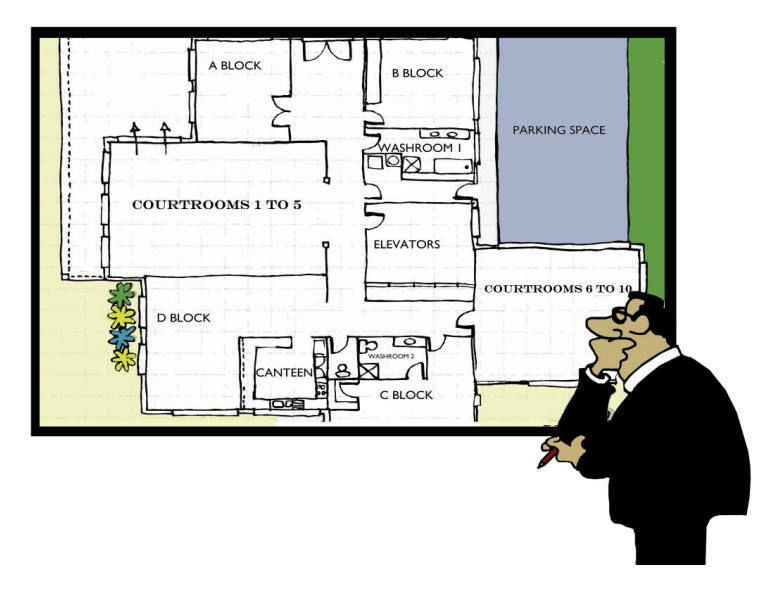 We illustrate how a litigant accesses court spaces and interacts with its physical infrastructure. A special focus has been given to vulnerable groups, such as persons with disabilities, to assess whether the physical infrastructure enables access or otherwise. The report also examines how this infrastructure varies between rural and urban court complexes. Broadly, it offers a comprehensive assessment of the status of physical infrastructure and what a litigant can expect from their nearest court complex. By doing so, it provides a blueprint for the infrastructural development of lower courts that can be used by the judiciary and executive.